How to Select Your Wedding Hairstyle | Wedding Ideas ARE YOU A VENDOR? From tousled curls to polished updos there is a lot to choose from. If you’re stressed about choosing your wedding hairstyle, we’ve got a few tips to make the process less painful. Unless you’re one of the lucky ladies with a pixie cut, you’ll have to add ‘choosing a wedding hairstyle’ to your checklist. 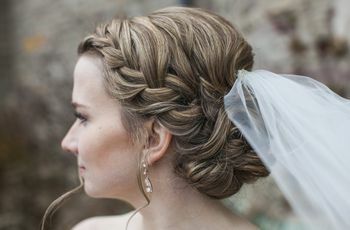 From stunning braided hairstyles to classy updos to beachy waves, there are plenty of wedding day hairstyles that may fit in perfectly at your wedding. Though your locks may seem like the least of your worries, a lot goes into choosing the perfect ‘do for your “I do’s”, so start planning early. 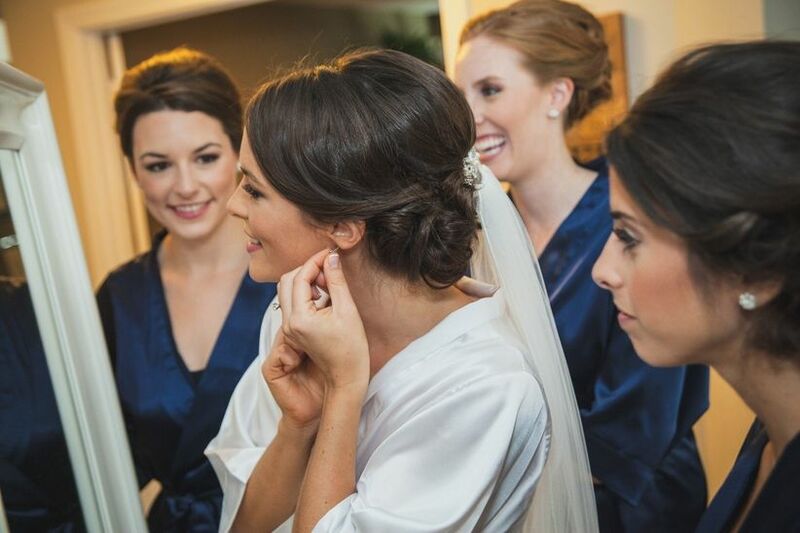 Here are a few tips on selecting the perfect wedding hairstyle. Before you head out to the hairdresser, do a little research. 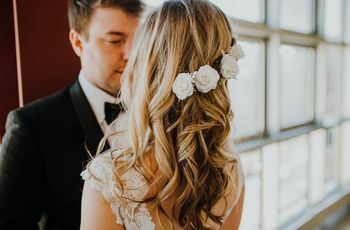 There are Instagrams, Pinterest boards, Tumblrs, magazines and our wedding hair stylist galleries dedicated to bridal hairstyles, so use them to your advantage. Scope out celebs that you have serious hair-envy for or look up their stylists to see full portfolios (Jen Atkin and Kristen Ess are fan favourites). 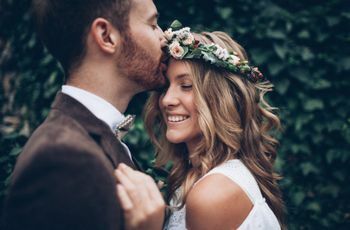 If you’ve already been to your fair share of weddings, you may have seen a bride or two with hair that really caught your eye. Give them a call to ask about their process for getting that perfect wedding hairstyle. They may have some advice on what to try and what to avoid. You’ve probably invested a lot of time and money into your wedding dress, so you’ll want to show it off. If it has a dramatic neckline, you may want to opt for an updo to give it the limelight. 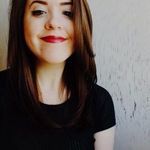 On the opposite end of the spectrum, if you’ve gone with a simple wedding dress neckline you may want to play up your hair with tousled curls or something more dramatic. You don’t want to regret the look you choose, so booking a trial appointment or two is key. Say you have your heart set on a dramatic updo, but the results are less-than-flattering. Your trial appointment is the time to find that out - not your big day. Experiment with updos and more flowing options. 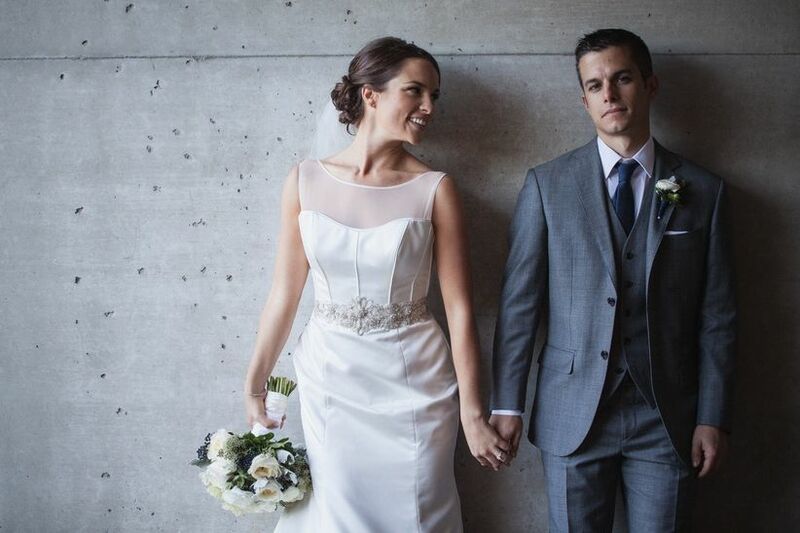 Remember, you’ll want to be wearing a top with a similar neckline to your gown so you can envision your whole look. Hair texture, thickness and length all come into play when trying different wedding hairstyles. If you’ve got thin hair but want massive beachy waves, you’ll have to consider extensions for volume or ask for something else. You can always ask your stylist for their opinion before trying anything out. Weather can be your friend or foe in the hair department. If you’re planning a summer affair on a Tofino beach, opt for something like beachy waves or a lowkey pony. If you’ve got a trendy indoor party at, say, a downtown Toronto hotel, the world’s your oyster. Want to amp up your look? 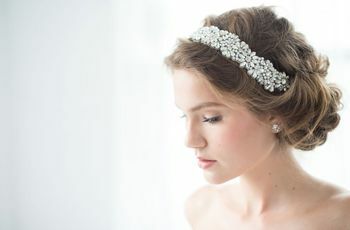 Add a wedding hair accessory or embellished wedding veil to your locks. Remember, if you’re going for something extravagant it will affect your wedding hairstyle. Bring it along to your trial appointments to see what works.